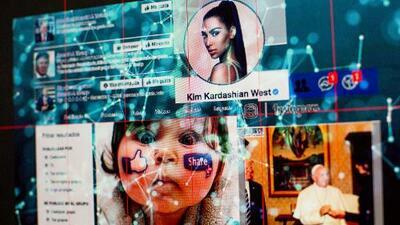 "These days, almost all of us live in a jungle," writes Jorge Ramos — "the internet." These days, almost all of us live in a jungle. And many of us are trapped there by choice — like birds in an open cage who wouldn’t even consider flying away. The particular jungle I’m referring to is, of course, the internet — particularly Twitter, Facebook and all the other apps and platforms that keep us trapped there. Full disclosure: I’ve been living in this jungle since January 2010, when I wrote my first tweet, and I’ve sent more than 18,000 since. I’ve probably wasted months of my life surfing through useless information and spent a thousand nights tapping a weary finger against my smartphone’s screen. And, yes, I’ve written some nonsense of my own. In the last seven years I’ve learned that social media is a good way to become closer to people who are far away — but the price is distance from the people to whom you are truly close. But I haven’t opened my private life to Facebook. I understand and respect people who want to share personal details on Facebook, but I’m just not sure how much privacy you can maintain if those details also go out to your friends’ friends’ friends. Facebook, Twitter, Instagram and other social media platforms are powerful tools that can drive a message home. Almost daily, my colleagues at Univision and I have to respond to the “3 million eyes” question: Should we issue breaking news immediately over the internet, or wait until the nightly newscast on TV? Political power can be found in this digital landscape, as President Trump well knows. “The Fake News Media hates when I use what has turned out to be my very powerful Social Media — over 100 million people! I can go around them,” Trump tweeted recently. Perhaps it’s too late for apologies. Twitter and other internet birds are very good at delivering messages and opening markets, but they can also cause havoc and hurt people. Malicious tweets are like Angry Birds the size of King Kong. According to the Pew Research Center, 40% of internet users say they’ve been victims of some kind of online harassment. And, alarmingly, that percentage rises to 65% among users between the ages of 18 and 24. These statistics aren’t terribly surprising — just raise your hand if you haven’t been stung on social media. In my case, every time I write something critical of Trump or Mexican President Enrique Peña Nieto — or in defense of immigrants — I receive an avalanche of hate mail that practically short-circuits the system. Still, I don’t have a problem with people who disagree with me. Communication is a two-way street, and that’s why I often accept interviews on Fox News so I can debate complicated topics there. But a portion of internet comments are often laden with insults, slander, racial epithets and even threats. Maybe the problem is that we’ve grown accustomed to the idea that the internet is a jungle filled with its own monsters, and that anything is possible there. The online world can be a free-for-all wrestling ring, and a repository for some of the most sophisticated lies. No, Pope Francis never supported Trump’s candidacy, despite the widespread circulation of fake articles to the contrary (days before the election, the pope had to clarify that he doesn’t get involved in campaigns). And yes, it was a big lie that Barack Obama was born in Africa and not in Hawaii — even though Trump and his backers spread that lie for years on the internet jungle, the dark kingdom of Fake News. None of us is trapped online, but we don’t dare switch off, perhaps due to self-sabotage, masochism, fear of being out of touch or a thousand other reasons. Neither do I, Mom. Neither do I.